THIS POPULAR PREMAM ACTOR IS OFFICIALLY ENGAGED!!! 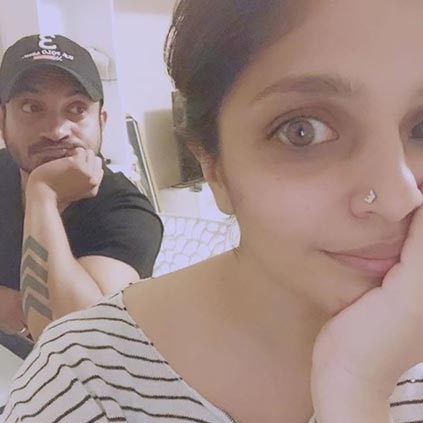 Popular Malayalam actor Soubin Shahir got engaged to his girlfriend Jamia Zaheer. Soubin confirmed this news via Instagram. He also shared a picture of the two of them with a text saying "engaged." Jamia Zaheer works as a marketing professional in Kozhikode and her wedding with Soubin is scheduled for next month. Soubin has acted in several films since 2013, however, he got his major breakthrough with Nivin Pauly's Premam which released in 2015. He played the role of a PT master in the film. Soubin also made promising directorial debut with Parava (2017), produced by Anwar Rasheed. We wish the couple all the very best! People looking for online information on Soubin Shahir will find this news story useful.